iTunes can sync your contacts and calendars from Microsoft Outlook or Outlook Express and contacts from Microsoft Address Book to any iPod with a display screen1 (Note: Outlook 2003 or later is required to sync contacts and calendars from Outlook). Connect your iPod and wait for it to appear under Devices. Select your iPod. This displays the iPod Preferences. Click the Contacts tab, under the iPod tab. Select the "Synchronize contacts from" checkbox. From the menu, choose the program (Outlook, Outlook Express, or Microsoft Address Book that contains the contacts you want to sync with your iPod. Outlook Express users, you're done. Outlook users, continue with this next section of steps to allow iTunes to access your Outlook data. Select the "Allow access for" checkbox. Click OK to close iTunes preferences and begin the sync process. 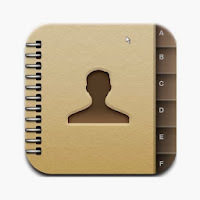 Note: You will need to grant access to your Outlook address book every time you sync contacts from Outlook to iPod. 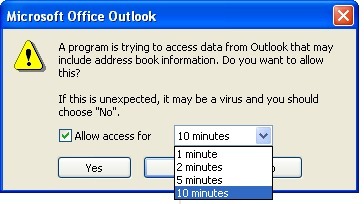 Select the "Synchronize calendars from Microsoft Outlook" checkbox. Note: You will need to give iTunes access to your Outlook calendar through the dialog every time you sync your Outlook calendar with your iPod. The maximum supported number of contacts varies by iPod model. iPod nano (6th generation) does not support syncing contacts and calendars.